Custom-made, branded folders are a great way to package proposals, sales sheets, media kits, training, orientation, HR materials, and just about anything else you can hand to someone. 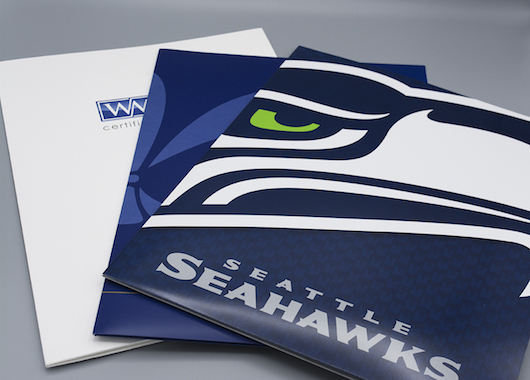 We print custom folders for businesses, schools, and institutions all across the Northwest. We can customize yours with endless choices in size, special paper, embossing, and other options — including the addition of custom die cuts for business cards and other inserts.